Many people think of kitchen cabinetry as the built in custom woodworking in their home. Nice furniture is used to make the rest of the house beautiful. However, there are ways to incorporate woodworking as part of the home throughout all the rooms. Especially in the living room where custom carpentry can add subtle accents or distinct focal points. Custom woodworking turns an ordinary house into your home and adds value if you ever decide to sell. 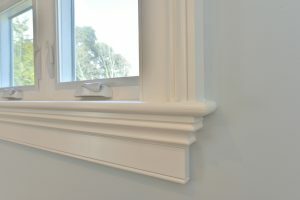 There is plenty wrong with what most builders use as a standard moulding, other options are available. Taller baseboards, period style window and door casings, chair rail, and elaborate crown or dentil mouldings. These create the architectural detail and interest to a room which will reflect your preferred design style while providing a particular flair your company will notice and appreciate. Further, mouldings can be layered into two or three piece mouldings for an even more interesting profile. Wainscoting and wall panels incorporate a classical elegance to a room, whether a formal living room or family den. 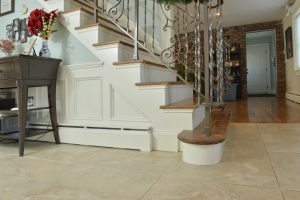 Traditional wainscoting, whether patterned tongue and groove boards or elaborate raised panel woodworking serve the practical function of protecting the drywall and being easy to clean. There are also ways to simulate wainscoting with shadow boxes using panel moulding under chair rail, and using a different color paint on the top and bottom portions of the wall. Built-ins can be permanent bookshelves, possibly accenting a mantle. With closed storage cabinetry underneath and open shelves above. Serving as a way to display collectibles which remain organized. Another common built-in is the entertainment center. Such woodworking is especially useful for an active family. Keeping hobby items close and accessible when needed but out of the way when not in use. Built-ins also define the room with a definitive focal point. This takes the guess work out of deciding where furniture should go. Such custom woodworking projects provide a practical function for your daily life. 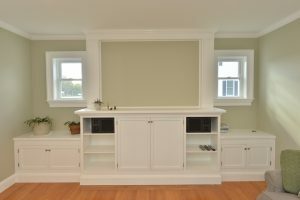 Built-ins also add value to your home should you decide to sell. Custom woodworking projects for your home can ultimately take a number of forms. The only limit is the imagination of the homeowners and the contractor as they determine a need and solution. 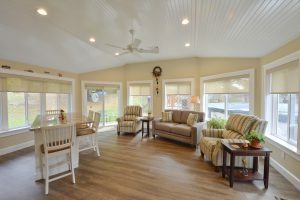 A professional woodworker will know how to make a room better serve the needs of you and your family. With the proper designs, a living room can express your personality while taking on a personality of its own. This character, immediately obvious to guests while providing you with a comfortable home to spend your time. Create your beautiful space, one room or your whole home, contact us today 845-988-4644.